Come to Las Vegas. Learn. Play. Network. As President of the Las Vegas chapter of the International Association of Business Communicators (IABC) 2015 through 2016, I invite you to come to Las Vegas for an exciting special event entitled Intranets, Content, & Collaboration. This professional development conference (December 9 – 11, 2015) is for anyone who needs to learn the latest about success in employee communications using digital technology. I am pleased to have been selected as a featured speaker. Here you will learn success stories in employee intranets so you, too, can engage your workforce to drive better business results. Are you’re looking to transform your multi-generational culture with your employee intranet? Will new technologies and social media challenge your patience and perseverance? How do you position new technologies in the workplace for every employee? Who can help make or break your intranet? What expectations should you embrace for using social business apps? When do you want leaders to endorse and recommend usage of your intranet? Where are the stress points, barriers to success, and roadblocks? Why do you need to have an intranet at all? In my session you will benefit directly from my unique perspectives, guidance, and lessons learned from my years of employee intranet and internal communications leadership experience within 3 very different organizations. REGISTER HERE and enter “SPK1215” and my name “Woody Goulart” to get a special discount. 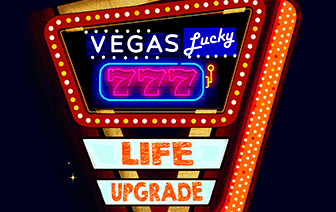 As October 2013 came to an end, so did my Las Vegas life. Or so I thought. Now, as June 2015 comes to an end, I’m getting to go back to live in the neon fun desert. This feels right. This feels like what is “supposed to happen.” So, I am going with it. I am leaving my home state of California to live and work in Las Vegas, Nevada. I know now that one must look into the sometimes stormy skies to find a patch of blue. A proper mental attitude can carry you through. You just need to discover how to stay in control of your mind and not let others encroach upon you or your thoughts and beliefs. My partner of 19 years, Sam Glass and I will once again be locals in Las Vegas. We know what to expect because we lived there very recently and see what’s what. I’m pleased to be continuing my digital marketing and advertising work of 2 years for an international company headquartered in New York City that understands how to encourage excellence through flexibility in employee work locations. This is not futuristic. This is reality right now. 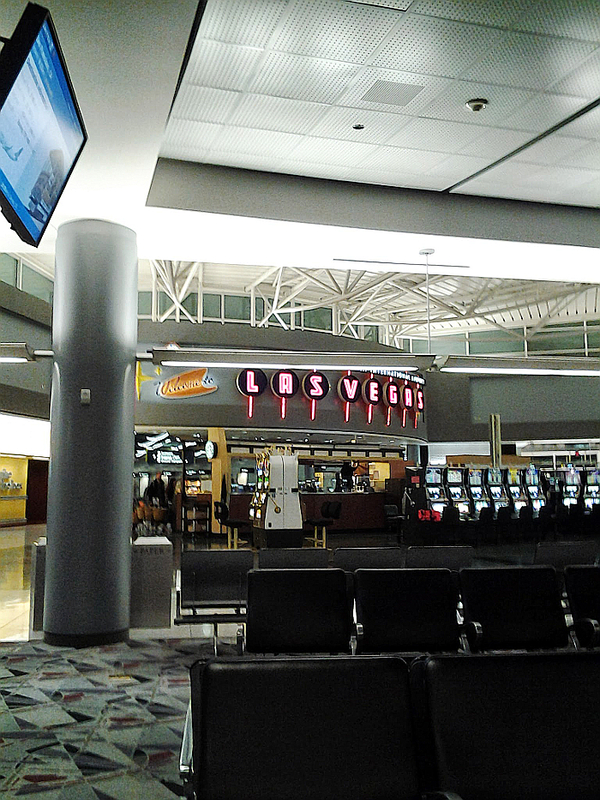 I am writing this blog post to share the news that I am leaving Las Vegas. My exit from Sin City has nothing in common with the 1994 song performed by Cheryl Crow that was based upon the novel of the same name by John O’Brien, nor the 1995 movie starring Nicolas Cage also based on the O’Brien novel. To be more specific, you may be relieved to learn that leaving Las Vegas for my partner Sam and me has zero to do with alcoholism or prostitution or gambling. We are leaving because of my need to relocate to the San Francisco Bay Area for work. Those who follow my column on Ned’s Job of the Week website already have seen my commentaries on making the transition to Las Vegas in the first place. On June 29, my birthday, I wrote about what has morphed into an ongoing transition in my life and career. As my posts have shared already, I chose Las Vegas as a place to restart and my life and redefine myself. One big lesson learned that I will share with you here: Pick some place where you can restart your life and redefine yourself even if your family members and friends tell you how strange you are. I chronicled my August 2012 relocation from Washington, DC to Las Vegas, Nevada. I never imagined that I would continue in transition after establishing residence in Nevada, but that is exactly what has happened. The lesson here is that transitions in life can be an ongoing journey for a person and not a one-time event. 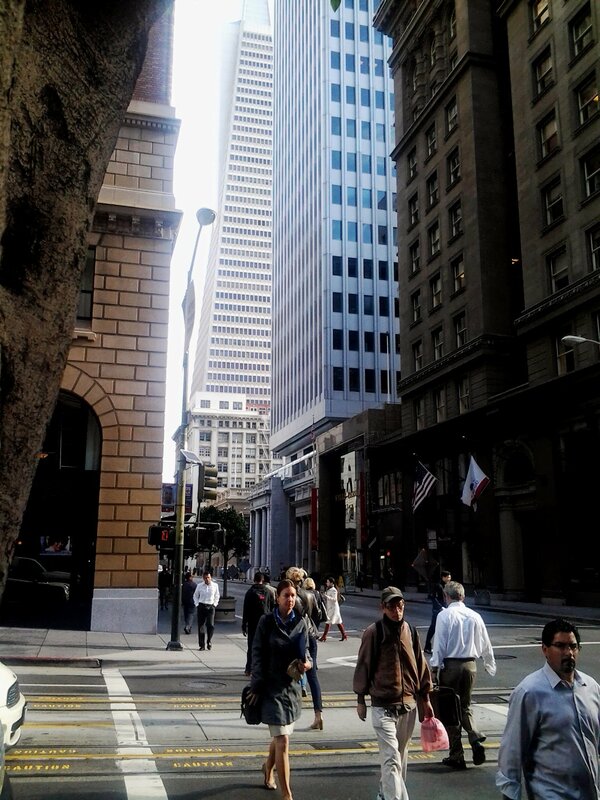 During the summer of 2013, I was recruited to work as a communication consultant in San Francisco. As a resident of Las Vegas, Nevada that meant I had to fly back and forth every week. Three simple words capture the significance of this commute: frequent flier miles. Yes, for several months I flew 400 miles one-way to get to and from work each week in San Francisco. I lived in hotels part of each week for several months now. In my experience, flying and staying in hotels had always been associated with vacation time. That all changed after I joined the ranks of steadfast business travelers who know the realities of regular travel by air and weekly accommodations in hotels. Living in two cities presents major challenges, of course. I would not recommend this anyone except a genuinely highly adaptable person like I am. There will always be unexpected twists and turns that sneak up on you and complicate an already difficult way to live. In San Francisco, for instance, I had to deal with TWO strikes at the Bay Area Rapid Transit (BART) system that made local commuting one of the worst traffic experiences one could ever hope to find anywhere in the United States. Then there was the issue of going between daytime highs of only 65 degrees in San Francisco to daytime highs of over 100 degrees in Las Vegas. You get the idea here. All of this will soon change. Some have asked me whether I would recommend living in Las Vegas. Here’s the truth: I certainly hope that everyone who reads this will consider vacationing in Las Vegas. This is a wonderful venue for adults to relax and unwind. It’s perfect for attending a big convention, too. A stay of about 3 or 4 days is the absolute maximum anyone should allocate to staying in Las Vegas for a vacation or a convention. I would not recommend living in the Las Vegas Valley unless you get relocated here by an established company for a full-time career job. On the plus side, the cost of living is very low. There is a wonderful entreprenuerial spirit here for business. Plus, living in the Mojave Desert affords easy access to enjoying nature and plentiful wide open spaces. The west side of the valley (miles away from The Las Vegas Strip) is especially appealing. This may seem obvious: Anyone who has needs for alcohol or gambling or prostitution should steer clear of living in Las Vegas, however. I happen to have no dependencies upon any of these three vices. Yet, I found other prominent elements of living in Las Vegas that I disliked–most notably, the rampant unreliability of many local people. You can make life in the Las Vegas Valley what we want it to be. It is a neon fun desert. Once you understand that, you can start to learn how to sort through the distractions of neon lights, flashing video displays, shiny silvery surfaces, ample carbohydrates, liquor, and so on. You can do it if you try. A few months ago I updated my commentary entitled “Should I Stay or Should I Go” — a title from that song from the 1980s by the English punk rock group The Clash. Here is update on the occasion of my birthday, June 29, about how to stand out. It is good to reflect upon your life at least once a year. Doing so on your birthday makes good sense in my humble opinion. As I reflect on this day, I realize how far I have come in my life. Literally and figuratively. I relocated from Phoenix, Arizona in 1995 to take a Washington, DC executive speechwriting career job. I am one of those people who loves living in the Desert Southwest, but the career employment opportunity in DC had to become my main priority. Relocating from the desert to DC was one of those famous Life Changing Experiences, to say the least. I believe that there is very little that DC shares in common with life in the western deserts of the United States. For me, living in the desert developed a deep and enduring bond between myself and the physical environment. The simplest way to explain this is to say that I created a spiritual connection with the earth while living in the desert. After the Great Recession hit in 2007, although I could continue to make a living in the DC market, I started feeling as though my life path needed to take me back to the Desert Southwest. My answer to the “Should I Stay or Should I Go” question was to stay in DC. 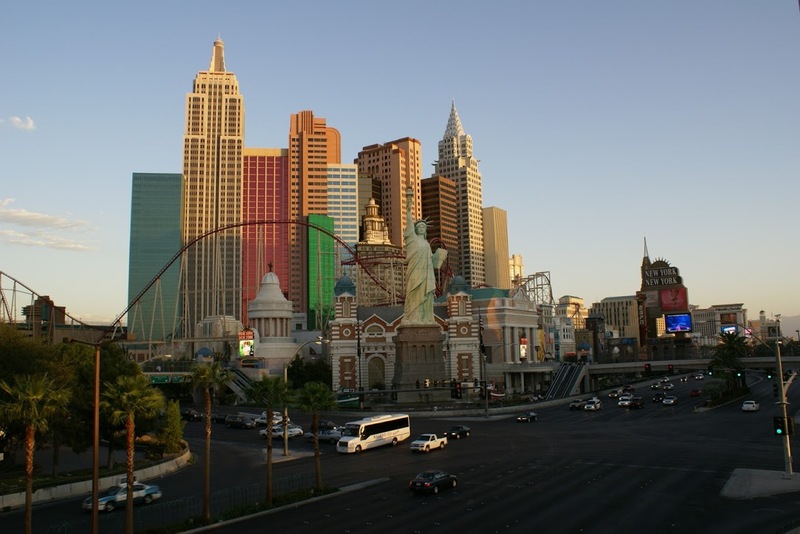 During August 2012, however, I answered “Should I Go” with a clear “yes!” and I chose to relocate to Las Vegas, Nevada. At this point in time, I have lived in Las Vegas almost one full year. This week in Las Vegas, we are experiencing record high temperatures. When the hot winds hit your face, you learn to take it or you will keep wondering why anyone would choose to live here in the Mojave Desert. Las Vegas is internationally famous for being a place where you can escape for fun and relaxation. That is as true today as it has been since 1906 when the railroad came to Las Vegas and enabled casinos and hotels to exist here as viable businesses. But, living in Las Vegas permanently as a local is a whole different experience compared to visiting Las Vegas for just a few days of fun and relaxation as a visitor. From experience, I would suggest that if you choose to relocate to Las Vegas as I did, choose also like I did to relocate here during any month when the temperatures are at their highest. Why? If you relocate to Las Vegas when the weather is cool, doing so will create a very false sense of reality for you regarding how punishing the physical environment can be here in the Mojave Desert. When you experience a high temperature of 120, you will know rather quickly if you are going to be able to survive living here. Life as a local in Las Vegas has many advantages that cannot be matched or exceeded anywhere else in the United States. Among these advantages are a highly favorable tax environment, a clear and consistent welcoming and encouragement by municipal and state governments towards entrepreneurs, low-cost entertainment of the highest quality, low-cost dining out opportunities of the highest quality, and, overall genuine friendliness of the locals. Vacationing here and attending conventions here is a terrific experience, too. Infamously, many people move to Las Vegas and then leave within about 30 days. The reasons for their exodus are numerous and personal. You can find part of an answer why many never make it past 30 days here if you consider some of the disadvantages (excluding the famous daily 90+ temperatures during many months of every year) of life as a local in Las Vegas. Other than the threat of heat-related physical injuries, there can be flash flooding caused by rare thunderstorms. I experienced two successive flash flooding incidents during 2012 and 2013. On the plus side, there are not likely going to be tornadoes or hurricanes here, however, like elsewhere in the United States. Nor are you going to suffer under several feet of snow. Throughout the Las Vegas Valley there persists the old-fashioned 1960s emphasis upon single passenger vehicles. This unavoidable reality directly results in routine traffic congestion and extraordinarily inconvenient and frustrating parking. Alternatives to this outmoded single passenger vehicle way of transportation are beginning to establish a foothold here in Las Vegas. Pun intended. Some locals you may encounter in the Las Vegas Valley choose to play by their own rules of public behavior that exist outside the typical bounds of polite society. I cannot go into detail about this without sharing anecdotes that easily would earn an “R” rating. At the same time, this is a welcoming place. I quickly became involved on the board of directors of the Las Vegas chapter of the International Association of Business Communicators (IABC). I am a serious advocate for everyone who is in the communications fields to join your local IABC chapter and get as actively involved as you possibly can. IABC is a fantastic networking opportunity for communications people. Everyone I have met within IABC Las Vegas have been genuine and welcoming towards me. In conclusion, only you can answer your own “Should I Stay or Should I Go” question. If you are like me, you may discover after weighing all the factors that choosing to stay where you are is not the best for your career. But, know that choosing to go is very difficult. You should expect emotional and financial challenges. But, if you are like me, you may discover that augmenting your personal brand requires you to move your life and your career to some other place than where you are right now. I’m convinced that one’s personal brand may need such a reboot or restart from time to time. I urge you to face this kind of life change bravely and with determination all the while knowing that there will be experiences in this journey that are not fun. I’m confident that you, like me, will emerge at the new location a stronger person than you were before your move. American society in 2013 seems to have difficulties separating what is fake from what is real. Just look at the number of those so-called reality shows on television and you will know exactly what I mean. How any one us can hope to stand out from others is deeply affected by this American cultural context. Since my youth I’ve heard the phrase, “fake it ’til you make it.” To me, the phrase always seemed to be sarcastic and more than just a little shallow. I used to wonder why anyone would want to be fake given the choice to be real. Then I became an adult. My favorite quote of all time springs from my own lifelong search to tell the difference between fake people and real people. Julius Henry Marx lived from 1890 to 1977 and is best remembered by his nickname, Groucho. He was an American writer and comic with a profound ability to turn deeply intellectual thoughts into everyday language and make people laugh in the process. My favorite quote of all time comes from him: The secret to life is honesty and fair dealing. If you can fake that, you’ve got it made. The ability to find humor in the struggle to separate what is fake from what is real is crucial to your being successful in shaping your own personal brand so that you stand out in positive ways from others. I firmly believe this. I recommend that this weekend you should rent a movie called O Lucky Man to explore the humor in how people work so hard to stand out. This film stars Malcom McDowell, a talented actor whose face and voice you will recognize instantly because he has appeared in so many films over the years. McDowell was just 30 when he starred in O Lucky Man as a struggling young man trying to stand out from others and become successful in a professional career. This film is a comedy whose main purpose is to make you laugh so that the filmmakers can sneak in persuasive messages in the story to compel you to think about the differences between fake people and real people. At this point in my life, I have somehow managed to live and work in Hollywood, Washington, DC, and Las Vegas. Being in these three famous American cities severely confuses anyone who hopes to tell the difference between fake people and real people. If you spend any time in any of these places, you will come to understand this simple truth: Hollywood and Las Vegas encourage make-believe for purposes of show business. Washington, DC encourages make-believe for purposes of political power. Each of us must arrive at our own answers as to whether we are being dishonest if we ever fake it to stand out from others. There probably are moral considerations here, but I dare not tell you what you should consider to be moral. You must find your own way. You would be wise, however, to keep in mind that what is fake versus real often is in the eye of the beholder like truth and beauty. The old and the new in Las Vegas occupy an adjacent space. Las Vegas streets sometimes are given odd names. Las Vegas streets are sometimes given odd names.